We obtain your written or verbal consent before sharing your personal information, and do not sell or otherwise distribute your personal information to anyone without your consent (except where required to do so by law or to meet credit reporting requirements). Privacy legislation provides specific instances in which we are able or required to collect or report information without your consent – such as during fraud investigations or in response to orders from legal authorities. There are also instances where we need to share your information with our business partners (such as lens labs) in order to provide you with the services or products you have requested, or with insurance firms or government agencies that are providing reimbursement for services. In such cases, we only share the information that is required for the transaction. 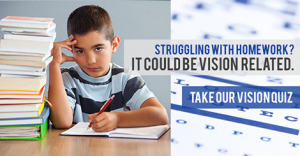 If you have vision concerns that would benefit from the involvement of other medical professionals, your Doctor may share your personal information with those professionals in order to provide you with the best diagnosis, treatment, and service. Within our office, we may use your contact information from time to time in order to let you know about products or services that you might be interested in – through phone calls, a newsletter, or other means. We do this to help you find the best possible vision care, and you may have your name removed from communication lists on request. Depending on the method of payment you are using, we may collect your name, address, credit or debit account numbers, and other information necessary to complete your transaction. We protect this information in the same manner as your other personal information, and do not share it with any parties other than those financial institutions involved in processing your payment. On request, you may see the personal, health and financial information that we have on your file(s). If your files contain information from other parties on your file, we cannot disclose that information to you for legal and business reasons – that information is legally the property of the person(s) or company that provided it. Please contact us if you wish to view your file information. It may take up to ten working days for us to gather this information for your review. Canada’s privacy legislation regulates organizations that collect, use, or disclose personal information in the course of commercial activity. In today’s world of electronic information, we all want to ensure that our personal and financial information is secure. We also want to know that our information is only being used in appropriate ways. Our Doctors and staff share your commitment to preserving your privacy. We take pride in helping you meet your needs through a full range of vision products and services. In obtaining our services, you share information with us about who you are, where you live and work, and aspects of your lifestyle. The information that we require about you will vary depending on the type of product or service you are requesting. Our essential commitment to you is that we will only use your personal information as required to provide you with excellent vision care services and products, and we will respect your privacy choices. using reasonable security measures such as passwords and encryption for electronic information. For further information, you may contact the Privacy Officer.